The number of email accounts you can set up for your domain depends on your hosting plan. On the Doteasy Starter plan, you are allowed to set up up to 10 domain email accounts. On the Doteasy Unlimited and Unlimited SSD 100 plans, you can create and manage virtually unlimited number of domain email accounts. The admin email account doesn’t count towards your domain email account quota. But please do not remove the admin email account as it is needed for administrative operations, such as creating and managing user email accounts. If you have removed your admin email account, please contact us so that we can have it re-created for you. Instead of using the admin email account, we strongly recommend setting up a new domain email user account for sending and receiving emails. Say you’ve created several domain email user accounts and need to remove one or more of them. 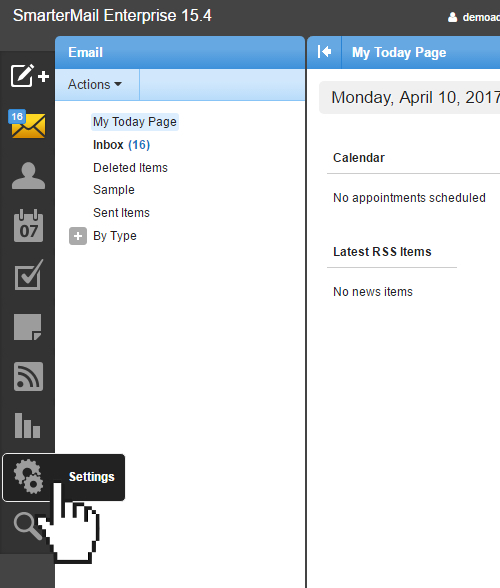 Click on Manage Email Accounts. You will be redirected to your account cPanel. Scroll to the Email section and click Email Accounts. Find the user account you want to remove and click Delete. Click Delete to complete the action. 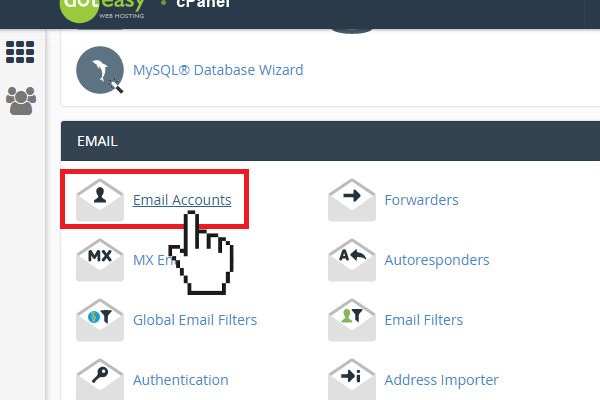 Click on Manage Email Accounts. 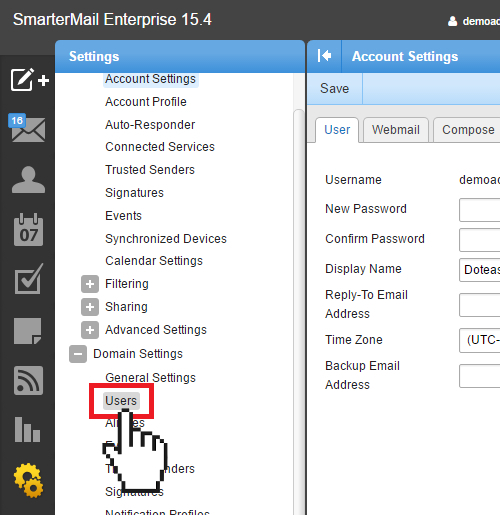 You will be redirected to your account SmarterMail interface. From the menu on the left column, click Settings. 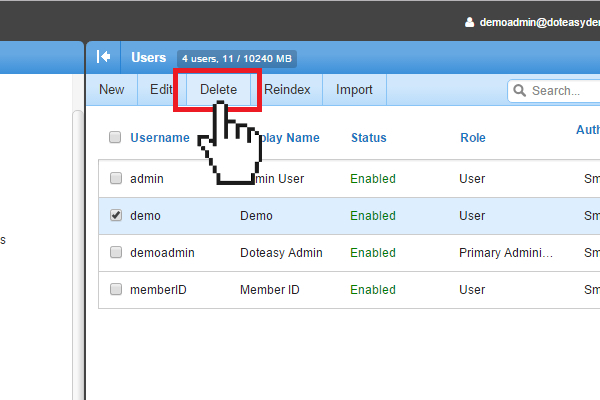 Check the box next to the username of the user account you want to delete. Make sure you do not delete the “Admin User” account. Click Delete from the top menu bar.